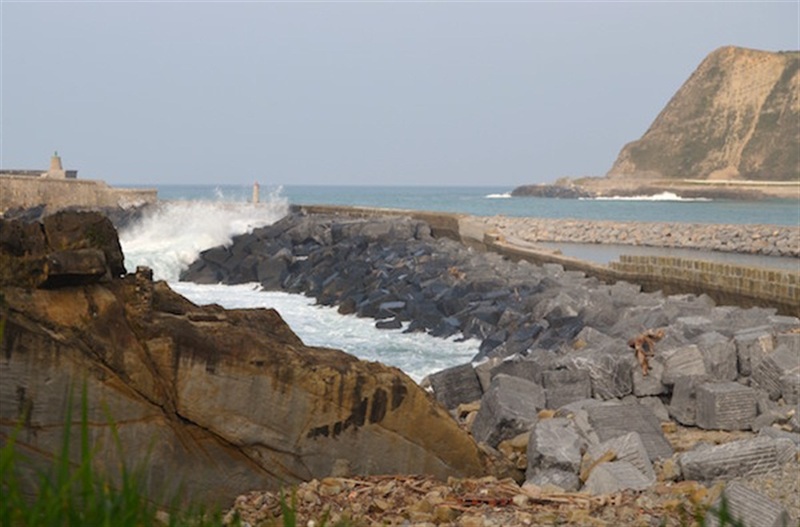 Conducted by the Joint Venture of Viuda de Sainz and Moyua, the works to strengthen the seawall of the port of Zumaia will cost to the Basque Government 2.4 million euros and will be carried out for four months as reported by various media and the Basque government itself. According to the draft prepared by the engineering TYPSA, the work consists of strengthening and heightening the shoulder and the outer slope of the trunk and nose and the inner slope in its final stretch and if weather allows it, they will be completed in mid-January.? ?As the director of Infrastructure of the Basque Government, Almudena Ruiz de Angulo explains, in Irekia-Euskadi.es, the Diario Vasco, Construction and e-informa, among other media, “reinforcing and heightening the shoulder will be made with concrete to the seaward side to provide it with greater resistance by gravity against the push of the waves. For the new screed work as effectively as possible with the existing structure 986 ml of micro-piles of 150 mm diameter and 3000 batten of 32 mm will be used to sew the entire set.” ? “As for the outer slope of the trunk and nose and the inner slope in its final section 178 concrete blocks of high density of 40 tons and 50 tons 40 blocks will be placed”, explains Ruiz de Angulo.? ?These days the contractor manufactures concrete blocks in external facilities located 5 km from Zumaia. “We hope that by mid-September the placement starts. This may be the most annoying part of this work for citizenship, as it will circulate a truck for each block. We will try to coordinate the schedules in which the trucks will circulate in the pedestrian traffic peak hours meeting the deadlines “adds the director Ruiz Angulo.? ? From the direction of Transport Infrastructure of the Basque Government “understanding for the inconvenience that the closure of the dam and the reinforcement works will generate. We work to ensure the security of citizens and infrastructures that protect and enable the nautical, sport and commercial activity in Zumaia “.